Stuff that Weighs More than Me: World’s Biggest Cheeseburger! Conclusion: The World’s Largest Cheeseburger weighs more than me. 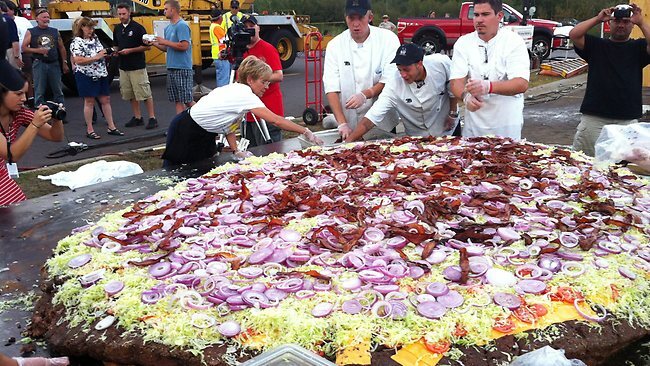 This entry was posted in Uncategorized and tagged Black Bear Resort, body acceptance, Carlton, giant cheeseburger, Minnesota, size acceptance, stuff that weighs more than me, world's largest cheeseburger on September 5, 2012 by fatchicksings. Now why did they have to go and ruin a perfectly good cheeseburger by loading it with onions? Honestly.